Since it gained its independence, the per capita output in Seychelles has developed to around seven times the former near-subsistence level. This development was possible mainly due to the rise of the tourism industry, which employs approximately 30% of the workforce and brings in more than 70% of the hard currency profits. As follows, our company formation consultants in Seychelles present the economic predictions for Seychelles in 2018. Due to the ongoing development of the tourism sector, the baseline development outlook in Seychelles is still on a growing trend, even though the current level of the real GDP growth of more than 4% is predicted to become moderate to around 3.5%. The debt dynamics are positive and the country registered a major progress in decreasing the public debt and maintaining the macroeconomic stability since the global debt crisis in 2008. 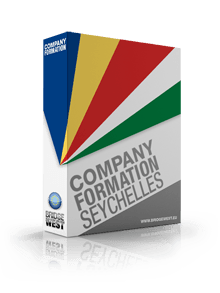 Our Seychelles company formation agents can help entrepreneurs who are interested in setting up a company in Seychelles. The progress is predicted to continue, enabling the public debt or the GDP to decrease to the 50% level in 2020, as the local government intends to achieve. The inflation is predicted to remain at low levels in this country, despite international fuel costs that have increased since 2016 and the expansionary fiscal measures which were taken by the local government in 2017 that could attract inflationary pressures. The rise of the existing expenditure was partially counterbalanced through a corresponding rise of the total revenue and the continuous tight monetary strategy. The budget position was kept at a surplus in 2017, however, it is predicted to decrease to a small deficit in 2018 and 2019. Our company registration advisors in Seychelles can assist you to start a business here. The local government is taking great care of its debt management policy and it is committed to decreasing the debt-to-GDP ratio from the current 64% to less than 50% by 2020. If you would like to learn more details about the Seychelles economic outlook, or for help to open a company in Seychelles, please feel free to get in touch with our friendly staff.